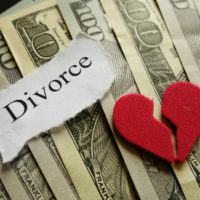 In a opinion recently issued by the New Jersey Supreme Court, the justices concluded that principles of fairness required that a spouse receive a portion of her spouse’s earnings from before the couple’s marriage, contrary to the New Jersey law governing how marital property is divided (i.e., equitable distribution). The recently-decided case is titled Thieme v. Aucoin-Thieme. The case centers on a couple who lived together for eight years before entering into what would be a 14-month-long marriage. The couple began living together after the woman became pregnant with the couple’s child. The couple had concluded that, since the father (Thieme) worked long hours for a biotechnology consulting firm, the mother (Aucoin-Thieme) would leave the workforce to stay home and raise the couple’s child. According to emails that Thieme sent to Aucoin-Thieme, he acknowledged that she had made a substantial professional sacrifice by staying home to raise their child. Thieme wrote, “I also understand that in the future, regardless of our circumstances, it is appropriate that I support you fully in recognition of this sacrifice.” Thieme had also mentioned in emails that he considered Aucoin-Thieme to have a claim to Thieme’s assets dating back to the birth of their daughter, rather than the date of their marriage. Thieme was not an equity partner at his firm, but the principals at his firm had told him that he would receive a substantial bonus were the firm ever sold. Thieme received a written agreement to this effect early on in his time at the firm, though the writing was not specific as to the amount or form of a potential bonus. The couple had purchased a house together in 2006, believing that the sale of the company was imminent and that Thieme would soon receive the promised substantial bonus, but the sale of the firm did not end up occurring until shortly after the couple’s divorce in 2012. During the course of negotiating a divorce settlement, Thieme repeatedly told Aucoin-Thieme that he had no ownership stake in the company and may not end up receiving anything were the company to be sold, trying to persuade Aucoin-Thieme that, if he did receive ownership in his firm, they would “revisit” the issue. The couple reached an agreement about how their assets should be divided in April of 2012, and those divided assets included property acquired both before and during their marriage. The agreement didn’t mention undisclosed assets or deferred compensation. When the firm was sold, Thieme received a bonus of $2.25 million. He deposited $200,000 of the bonus into an account still shared with Aucoin-Thieme, and Aucoin-Thieme withdrew those funds. Thieme turned to the court to assist him in getting those funds back. The trial court found that, under New Jersey’s laws on equitable distribution, Aucoin-Thieme was entitled to only 30% of the bonus earned while the couple was married, in the amount of $30,288. The Appellate Division agreed, and Aucoin-Thieme appealed to the New Jersey Supreme Court. The Supreme Court agreed that, under the law on equitable distribution, divorcing spouses had a right to receive a portion only of property acquired or income earned during the marriage itself, and not that earned during a period of dating or even cohabitation beforehand. However, the court pointed out that family courts are courts of equity, meaning that they could make decisions based on principles of fairness rather than only on literal interpretations of laws. The court noted that, in this case, Aucoin-Thieme had been expressly promised full support for her professional sacrifices that enabled Thieme to advance in his career, and that both Thieme and Aucoin-Thieme had relied on the bonus Thieme had been promised in making financial choices during their relationship. The court found that, based on Thieme’s promises, Aucoin-Thieme’s sacrifices, and their collective reliance on the bonus, awarding Aucoin-Thieme only the portion of the bonus considered to be earned after the couple’s marriage would be unjust, and expanded the period to include the entire length of the couple’s cohabitation. For assistance with issues coming before the New Jersey Family Part of the Superior Court, contact the determined, experienced, and effective Union family law attorney John B. D’Alessandro for a consultation, at 908-964-0102.